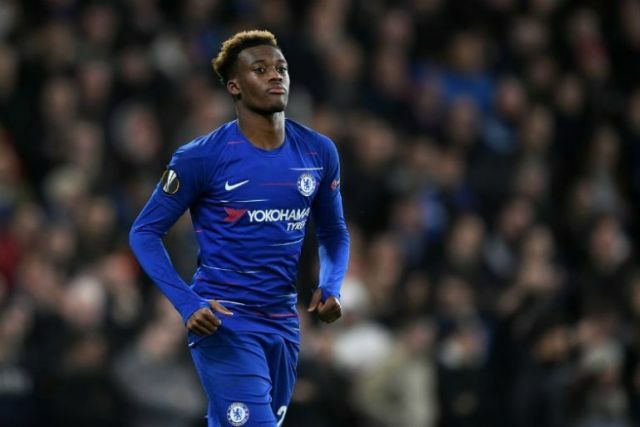 Liverpool reportedly met with Callum Hudson-Odoi earlier this month in view of a surprise deal for the Chelsea ace. The 18-year-old has been strongly linked with a January move to Bayern Munich and is now expected to turn down a new deal at Stamford Bridge believed to be worth £85,000-a-week. He has already been subject to four bids from the Bundesliga giants, with the latest supposedly meeting Chelsea’ £35million valuation. Though the Blues are keen to retain the teenager’s services beyond the winter market, Hudson-Odoi himself is evidently keen on pursuing the promise of increased first team opportunities in Germany. In something of an unlikely deviation to the story, German outlet Sport Bild claim a Liverpool representative recently met with the Englishman and his advisor. Whether or not there is any truth behind the report remains to be seen, and even then the chances of Liverpool throwing their hat into the ring for the Englishman seem incredibly slim at this stage. Jurgen Klopp is satisfied with his current options and is not expected to make any new signings before the deadline, despite several defensive injuries over the festive period. Blueprints for his summer transfer approach are meanwhile likely to entail the prioritising of an orthodox centre-forward and potentially another central playmaker. With the likes of Mohamed Salah, Sadio Mane and Xherdan Shaqiri at Klopp’s disposal, opportunities look bleak for wingers aspiring to ply their trade at Anfield in the coming years.